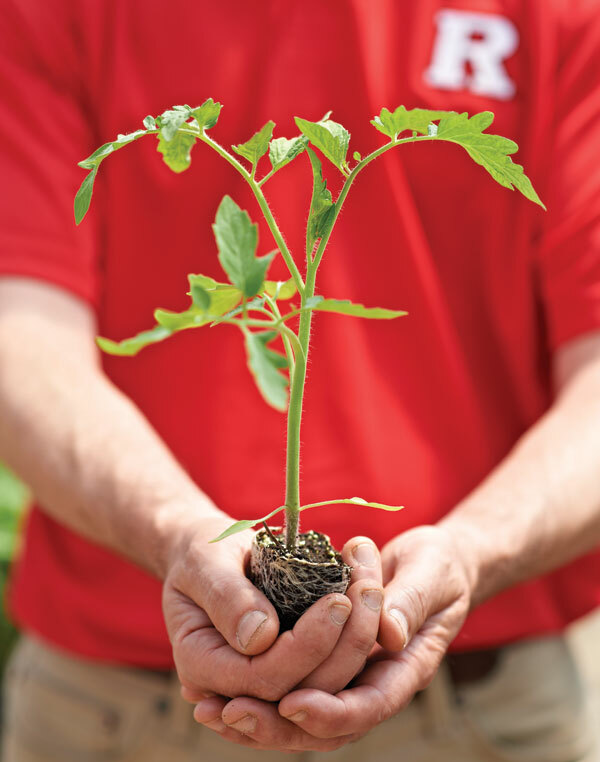 The 2014 Snyder Farm tomato variety observational trial list, with descriptions and seed sourcing information, is now available. The Rutgers NJAES breeding program, variety evaluations, and consumer tastings contribute to improving the quality and competitiveness of New Jersey tomatoes. Public taste-testing of these tomato varieties will commence at 3 PM on Wednesday, August 27 at the Great Tomato Tasting Event. Peter Nitzsche cradles tomato seedling.